Tired of Slow and Unreliable Wi-Fi in Your Warehouse? The increasing demand for high-performance and reliable wireless connectivity in manufacturing, warehousing, and logistics is beyond the capabilities of traditional wireless networks. Industrial requirements for wireless communications, devices, and software applications demand an industrial-strength solution that is designed to maximize operational productivity, mobility, and automation. At Strategic Mobility Group, we meet this challenge with next generation WiNG Wireless LAN from Zebra Technologies, offering best-in-class industrial wireless connectivity and unfailing performance at a price designed to meet rapidly growing needs at an affordable cost. A practical guide to understanding the fundamental requirements for reliable, high-performance industrial wireless networks. Learn how the latest, next generation wireless networking technology and operating system deliver optimal performance through distributed network intelligence and advanced architecture. Includes specifications, features, security details, and more. With Zebra?s WiNG WLAN, you can transform your warehousing and logistics operations with uninterrupted, enterprise-wide service featuring unbeatable reliability, connectivity, and data security. 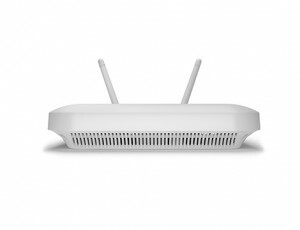 Using the latest 802.11ac wireless standard and an entirely new approach to network infrastructure, WiNG provides an intelligent, self-optimizing, and self-healing network that avoids the headaches of network slowdowns, disconnects, and service outages. This next generation technology delivers world-class wireless performance across all computers and mobile devices in your operations, giving you a competitive edge in achieving leaner, more automated processes that maximize productivity and accuracy while minimizing errors and returns and lowering overall operating costs. Best of all, with an ultra-fast and zero-touch installation process, your wireless network can be up and running in no time–at up to 50% lower cost than other solutions. WiNG WLAN from Zebra Technologies holds the official Guinness Book of World Records? 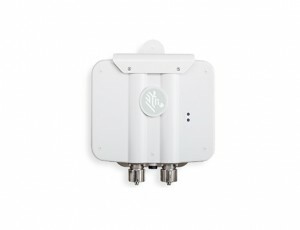 mark for wireless throughput with 84 simultaneous video streams delivered through a single wireless access point! At Strategic Mobility Group, we are end-to-end wireless solution providers with specialized expertise in networking, mobile hardware, software, and services. We offer unsurpassed knowledge and expertise in systems design, installation, integration, and support. With technical insights from our industry-leading consultants and certified engineers, we help our clients choose and deploy the right wireless networking technologies to achieve high-speed, reliable performance and maximize productivity and efficiency in warehousing and logistics operations. Call or email us today to schedule a free consultation and start getting the wireless performance you need in your warehousing and logistics operations.